The early Adelaide Jewish community was relatively small, consisting of less than a thousand persons in the 1890s. However many members were very active politically. Prominent local business families such as the Solomons, Saunders, Judells and Cohens were active members of the Hebrew Congregation. 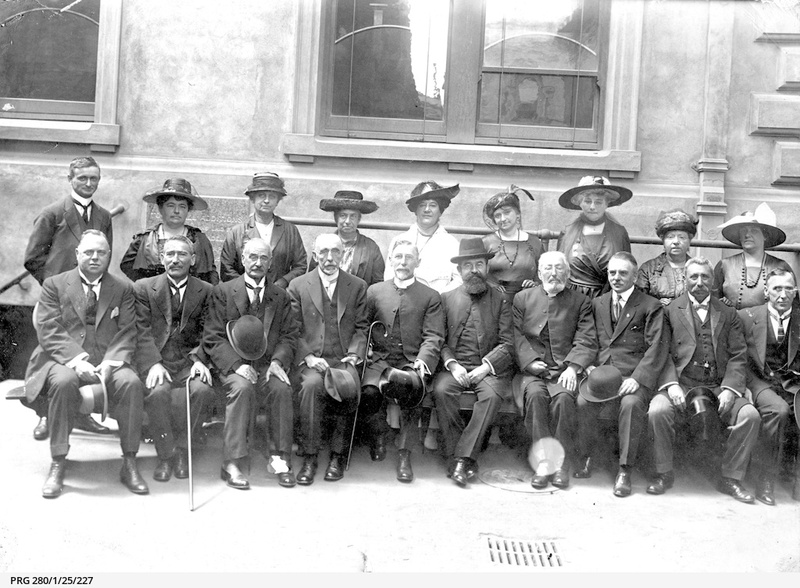 By the 1920s the community had provided Adelaide with four mayors, and South Australian Parliament with seven state politicians.Rabbi Boas (seventh in the front row) took charge of the local congregation in 1870, remaining until his death in 1923. He was born in Amsterdam, the son of a Rabbi. Apart from religion, Rabbi Boas was something of a Shakespearian scholar.